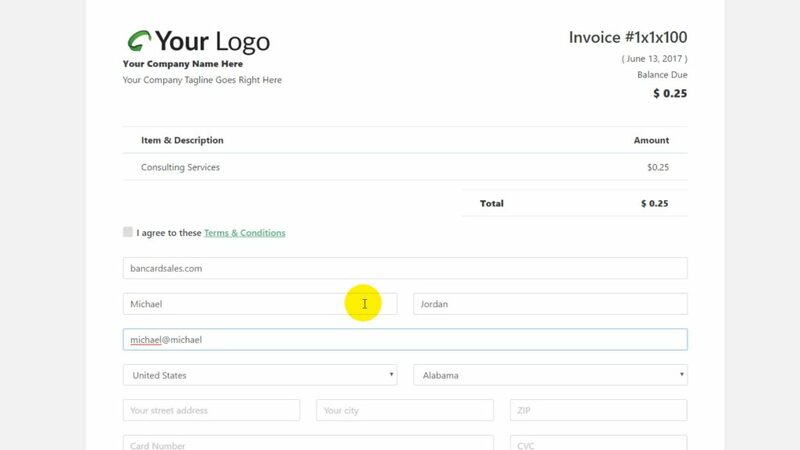 With this system you’ll be able to easily generate invoice links like this that are hosted for you and they give your customers the ability to pay invoices 24/7 and you can even set the system to notify you when a payment is made! If you’re a CardPointe user already you have access to this system and if you’re new to Cardpointe check the links in the description. 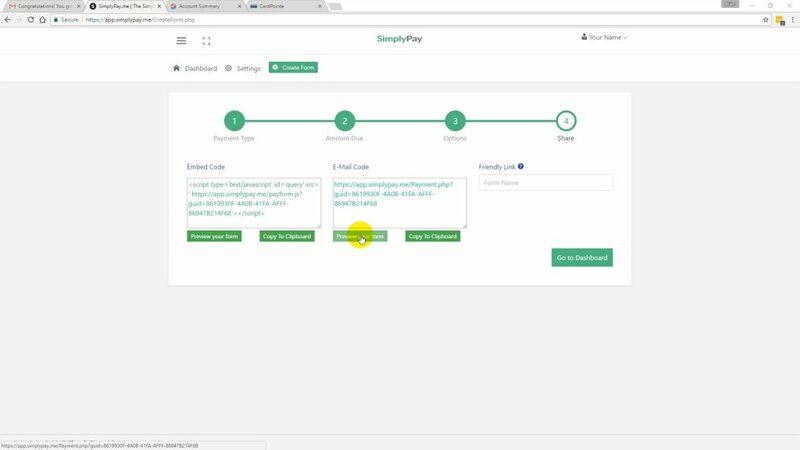 In this video I’ll show you how to set up and connect your CardPointe account to SimplyPay so you can start creating invoice links and receiving payments immediately. The direct signup link is listed in the description so you can just click on it and go try it out for free. This particular software allows you to set up invoicing capabilities in literally a couple minutes and you can do all of it yourself just by filling out a couple forms, creating an account and adding your CardPointe merchant ID number. 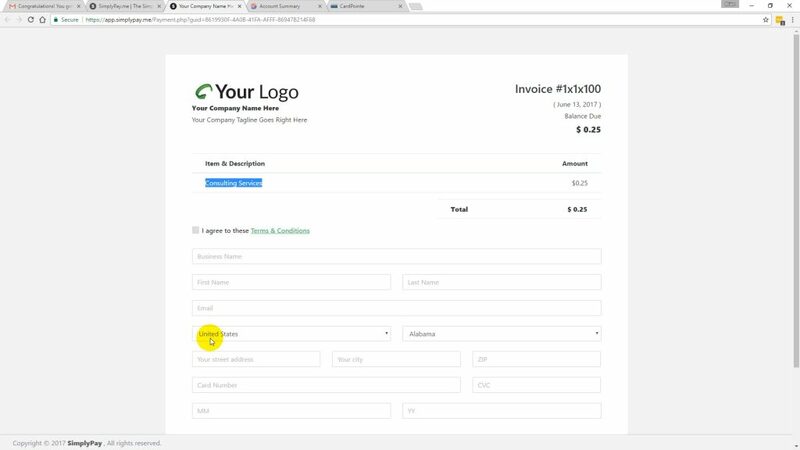 You can customize the payment pages with your company logo and company information and even add terms and conditions to your payment form if you’d like. This video assumes that you have your CardPointe merchant account already set up. If you don’t just click the link in the description to sign up. 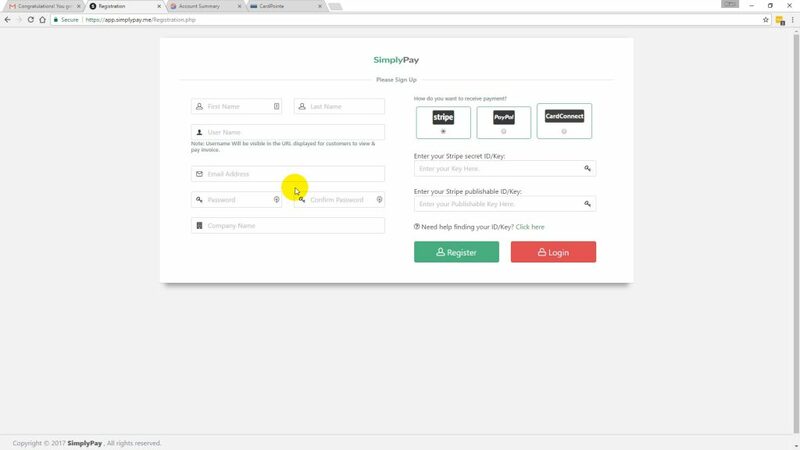 Come to the homepage of simplypay, and click on the Login button to get started for free. This is the login page that you’ll be able to come back to once your account is set up. If it’s your first time, just click on the CREATE ACCOUNT button and it’ll bring you to this setup wizzard and you’ll just fill out this basic form. Just add your name and company information, choose a password and add your cardconnect merchant id number by checking this box and entering your merchant ID number right here. If you don’t have it handy you can click this little link right here and it’ll give you a reference point on where to find your merchant ID number inside your CardPointe account. So you just copy the entire number and paste it right into this box here with no spaces or extra characters. And that’s it. 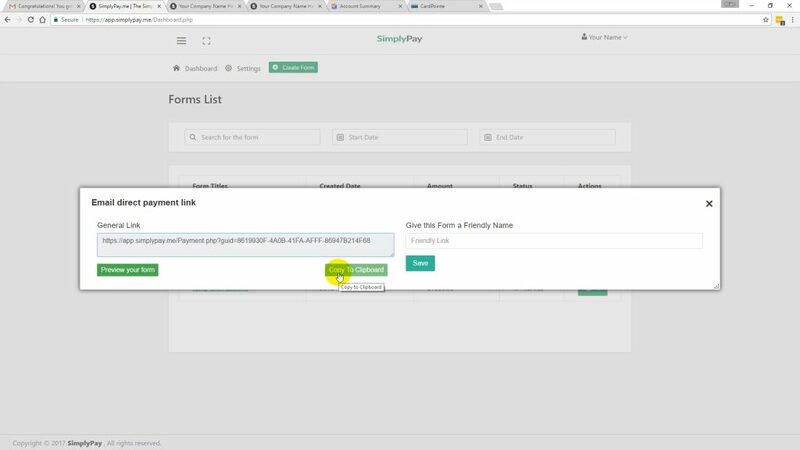 You just click register and your simplypay account is set up and linked to CardPointe and you’re ready to start creating invoices. But before we create our first one, you might want to add your company tagline and logo, so come to the settings tab and click on it and scroll down to upload your image right here. Lastly, if you want to receive email notifications when a payment is made, just click the little box right here. Once you’ve saved your updates, just click the green button on the main menu To create a new invoice link. The system defaults to the invoice option but you also have the ability to create hosted payment page for your products or services. So to continue with the invoice I’ll click next and I’ll add what the payment is for or an item description and an invoice number right here and click next. Number one to require terms and conditions and you can paste a hyperlink directly in here or you can paste text directly into this box and it’ll show up on your payment form. Then click next and that’s it. You can click on the preview for either the embed code or the email code which are gonna show you the same payment page. So I’ll click preview for and it’ll open up and this is the actual payment page that your customer will see when you send it to them. You can see that the payment page follows the form and function of an actual invoice. So the invoice number is copied over as well as the item and description and obviously the dollar amount. 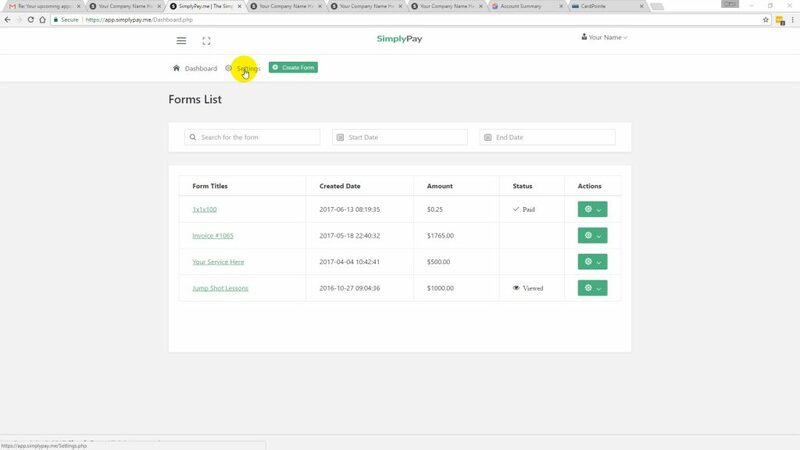 So back inside the simplypay dashboard, if you click away from this page or you click go back-to dashboard or go to dashboard you can see that your form or invoice titles are listed right here and again you can always view these by just clicking on this hyperlink and the page will load in a new window …. click on it and it’ll give you your specific hyperlink that you can email out to your customer again preview form or copy to clipboard are always an option. 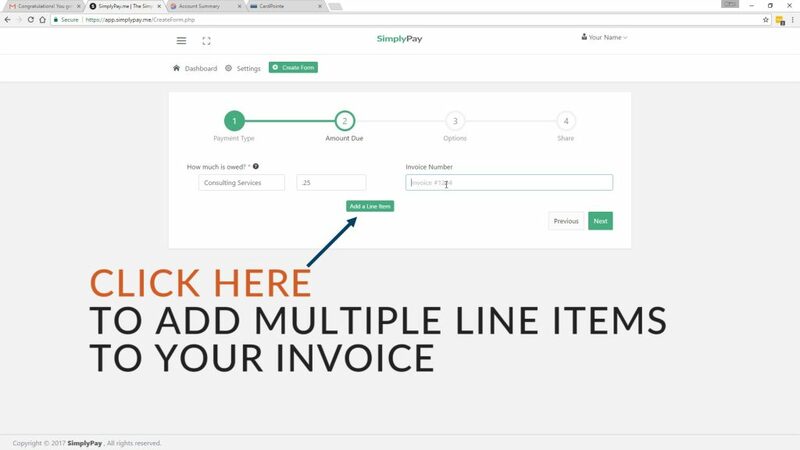 All payments that are accepted through these simplypay invoice links will be logged in your cardpointe reporting dashboard for easy reference. Your CardPointe merchant account should automatically be set to auto settle every single night so using CardPointe with Simplypay is a very streamlined and automated way to collect payments with invoices. Now that that invoice link has been paid and is marked as paid inside the Simplypay dashboard. 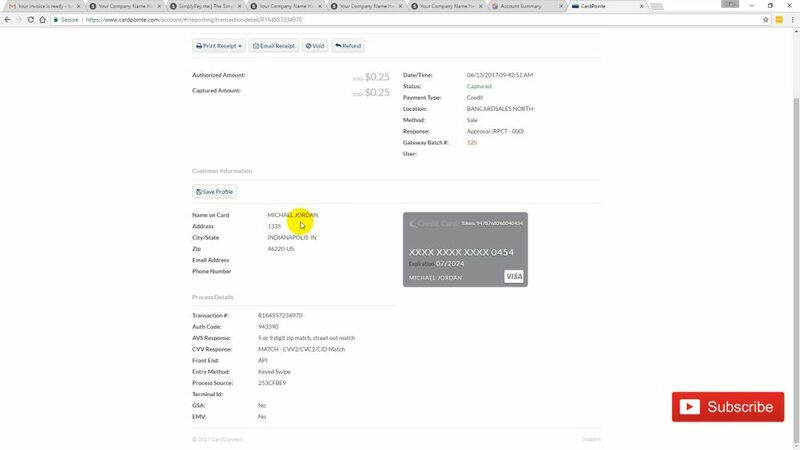 You can Double-check it by coming over to your CardPointe dashboard and coming to the reporting tab and pulling up that specific transaction for reference. So I’ll just make sure my dates are selected properly. I’ll refresh the screen and you can see that the transaction for 25 cents has just been paid.